Megalithic civilizations in the Mediterranean area and South America. The megalithic walls in the Mediterranean area and South America have the same origin, as evidenced by the fact that for these constructions the same unit was used in order to measure lengths. Only in the central Andes there is the evidence of a rapid transition between the simplest technique, in which stone tools were used to slightly shape blocks, and the subsequent techniques. The transition occurred with the introduction of bronze utensils. The raisons are exposed here for arguing that the invention of the bronze alloy must be traced back more than 12,000 years ago. If we carefully compare the polygonal walls of Alatri, Mycenae, Cusco, we are surprised by the similarity or identity of building techniques. Nevertheless generally academic scholars strongly deny that there have been contacts that could lead to the transmission of those techniques from one place to another, so distinct and apart. In 1946 Giuseppe Lugli wrote on the similarity of the megalithic walls in Italy and Greece, attributed by many people to the Pelasgians: "Now it has been proved that the Pelasgians have nothing to do with the large polygonal fortifications and that they are not as old as previously believed. The comparison with the walls of Tiryns and Mycenae is purely technical and presents no historical and ethnic relationship". These same ideas were expressed in 2011 by Eugenio Polito, who reiterated what was already stated by Lugli, namely that the polygonal walls in central Italy were built by the Romans during the period of their territorial expansion; therefore they are not works of people who came from other parts of the Mediterranean sea. Until recently no satisfactory explanation was given about these walls, which are so perfect that it is even impossible to put the blade of a thin knife into the joints between the various elements. To achieve such a result it was imagined that, before the installation of a block, a lead plate was employed to make a mould of the space that the stone should have occupied. But it is easily objectionable that it is an impractical solution. Lugli (1946) suggested that "the blocks were processed on the place reporting on them by means of a square the corresponding angle formed by those blocks with whom they had to be connected." It was considered, therefore, that the determination of the spaces were made by means of a transfer of angles and lengths, and not through their measure, which would be the simplest explanation. 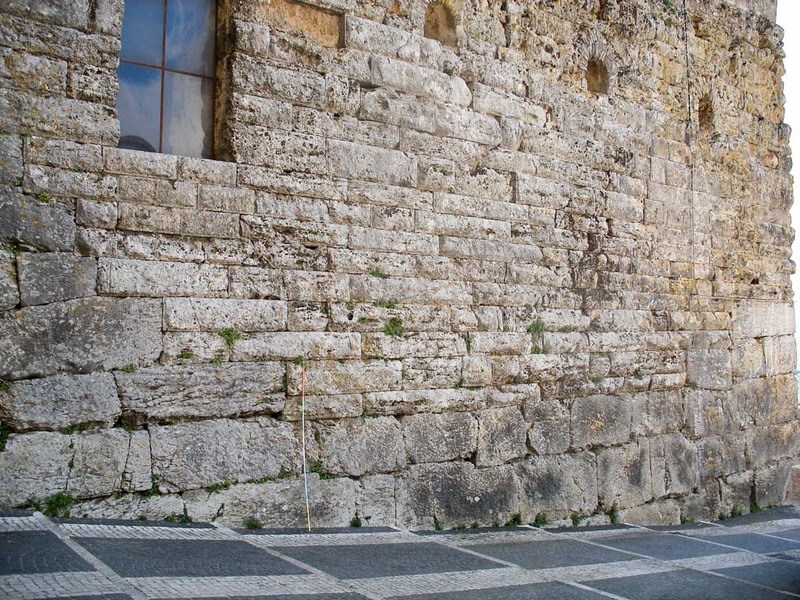 By measuring different elements of the polygonal walls of Alatri, Cosa, Segni, Cori, it was possible to see that the people who built those walls determined with proper tools the measures of both the lengths of the edges and the amplitudes of the angles, which were found to be precise multiples of two units – or their simple fractions - equal respectively to 1.536 cm and 1.5 ° (Mortari, 2012a). Identical results were obtained on two polygonal walls located in Greece: the first on the island of Milos and the second at the foot of the acropolis of Athens (Mortari, 2012b). The use of a unit of measurement for the lengths quite distinct from those used by the Romans, Etruscans and Greeks makes plausible the idea that the authors of these buildings were the Pelasgians, who dominated the Aegean area before the arrival of Indo-Europeans at the beginning of the second millennium BC. The same Pelasgians, according to Herodotus, reached central Italy coming from Asia Minor. For this reason, this unit was called "Pelasgian finger". Figure 1 - Rough stone wall at Amelia. 1) - Raw stone works. The blocks are stacked without being minimally processed. The outer side of the wall is irregular. We have a few examples, such at Artena and Amelia (Figure 1). Figure 2 - Roughcast stone wall at Norba. 2) – Roughcast stone works. The individual elements were chosen for the presence of a surface as flat as possible, which was positioned outside, so that the exposed face of the wall was overall uniform; they were oriented so as to minimize the interstices, and the major gaps were closed with smaller stones. To achieve uniformity of the outer side and minimize the interstices, minimal changes of the stone shapes were possibly carried out. See Roselle, Norba (Figure 2), Tiryns, Mycenae. Figure 3 - Polygonal stone wall at Cosa. 3) - Polygonal stone works. 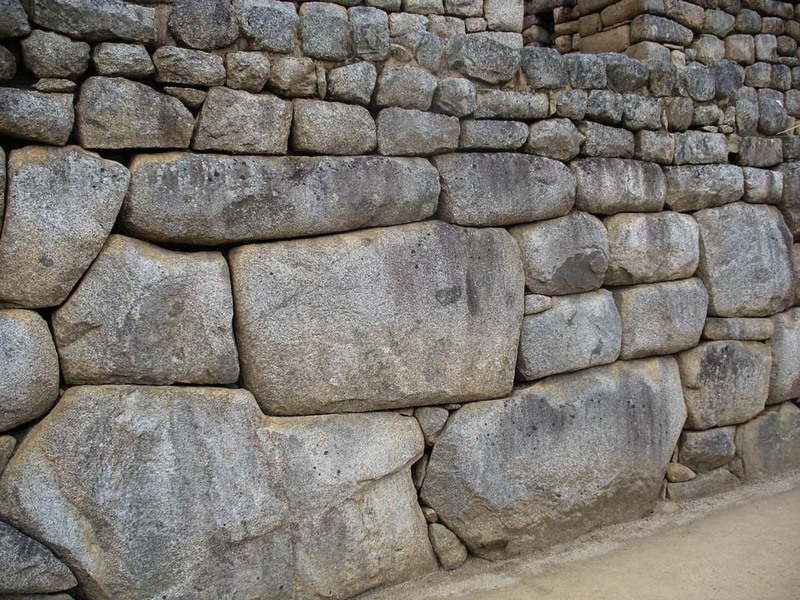 In the outer face of the walls the blocks were processed to obtain surfaces as flat as possible. The same treatment was reserved for side surfaces, which were made so smooth to match perfectly with the faces of other blocks. We find some beautiful examples at Norba (Figure 3), Cosa, Alatri, Cori, Mycenae, Athens. Figure 7 – Funerary complex of Djoser at Saqqara, Egipt (from Wikipedia). Figure 6 – Probable pelasgic squared stones at Ferentino. 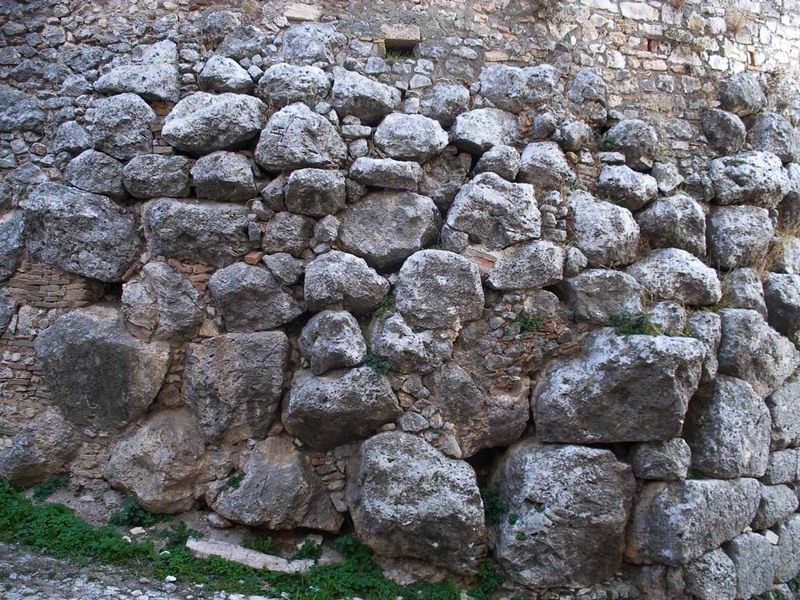 Figure 5 – Probable pelasgic squared stones at Ferentino. Figure 4 – Pelasgic squared stones at Cosa. 4) – Squared stone works. Both the outer and lateral surfaces are flat and orthogonal to each other. Recent assessments to identify works of this kind in Italy showed that among them one may include some stones belonging to the base of the main temple of Cosa (Figure 4). 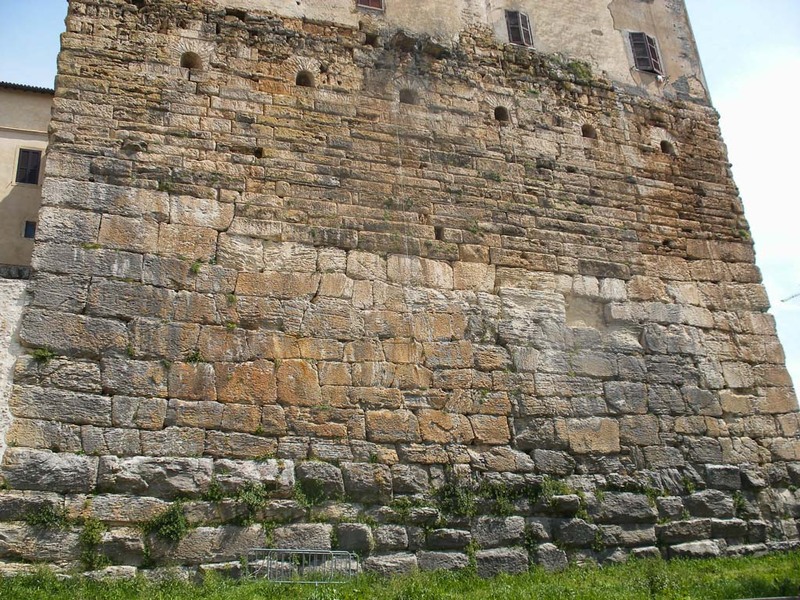 A wall of the acropolis of Ferentino, immediately below a Roman inscription, can also be ascribed to the same technique (Figure 5); there, in the most accessible part, the thickness of the second and third rows that appear in Figure 6 was measured and gave values of 42.2 and 33.8 cm respectively, which suggest the very probable use of the Pelasgian unit of 1.536 cm rather of the Roman finger of 1.85 cm. Until now, the oldest example of this type of technique is found in the funerary complex of Djoser, the second pharaoh of the third dynasty, at Saqqara, Egypt (Figure 7). As a rule, the order in which the four techniques are listed reflects not only a growing perfection of workmanship but also a chronological order. It depends on the fact that the transitions between a type of working and the next are related to the introduction from time to time of new means of production. Thus, the transition to the polygonal work was only possible after a bronze metallurgy has been invented. Similarly, the transition to squared stone works required the invention of cutting methods of the stones with the use of tools such as saws or helical wire. It is always possible that a previous technique were reused, but it happened a few times, if not rarely. The polygonal technique was picked up by the Etruscans and in some cases also by the Romans, although it has no longer to do with megalithic walls. However, the various steps are to be considered achievements unlikely subject to involution, which is demonstrated by the fact that in general, after a partial dismantling of the defensive wall of a city, the resumption of construction was done with a more advanced technique. At Mycenae for instance one can observe in a succession such techniques of the second, third and fourth type, and it is significant that, when the section of wall adjacent to the Door of the lions was re-built, the squared technique was adopted even if the stones were worked by percussion and not by cutting, as it is evident from the imperfections of the faces and edges. The observations made in South America were limited to certain main archaeological areas in the central Andes (Cuzco, Ollantaytambo, Machu Picchu, Sillustani, Pisac, in southern Peru, and Tiwanaku, in Bolivia). There we find both the same techniques 2, 3, 4 and the problem of the age of the megalithic works. All walls built with the techniques of polygonal and squared stones are commonly considered built very recently, that is during the empire of the Incas, despite that they ruled for a period too short to carry out all the works attributed to them, which were very challenging if we consider not only their size but also their complexity and variety. This period is commonly considered to be extended from 1450 to 1533. The Incas began to expand their territory from 1438, starting from the plateau of Cusco between Lake Titicaca and Lake Junin, and then they annexed the southern two-thirds of their empire between 1471 and 1493. The Spanish conquest of that region took place between 1532 and 1534. In the archaeological site of Tiwanaku, which is believed to have been inhabited certainly between 200 BC and 1000 AD, the few remains that can be visited today testify to the achievement of a very advanced technology. On the contrary, the newer buildings in Ollantaytambo or Machu Picchu - which can really be attributed to the Inca period - are of a much more modest character. Those buildings were built using non-squared stones, bonded with lime mortar, in stark contrast with the previous works, which were all dry executed. Even the famous Royal Road attributed to the Incas, which extended along 5200 km with two main parallel routes and which together exceeded 20,000 km, followed almost certainly a previous path traced by others. Figure 8 – Roughcast stone wall at Ollantaytambo. 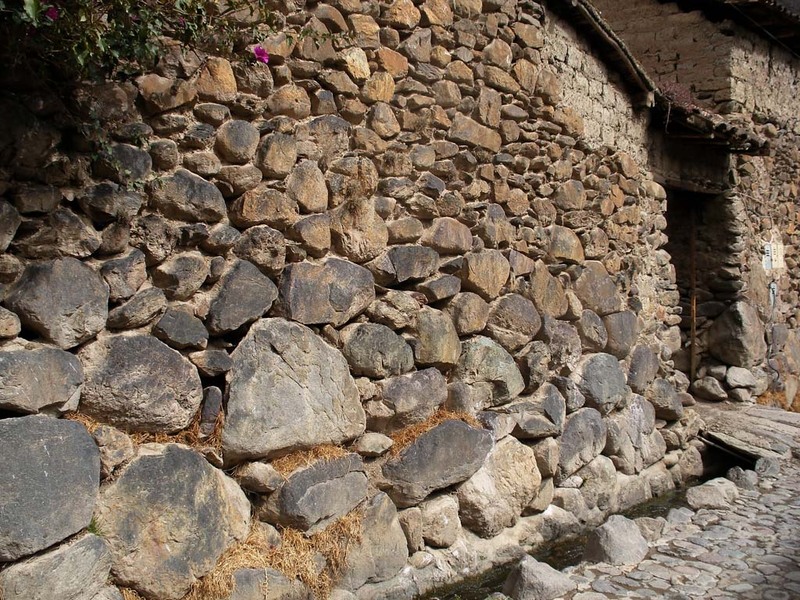 Figure 10 – Squared stone wall at Ollantaytambo Fortress. 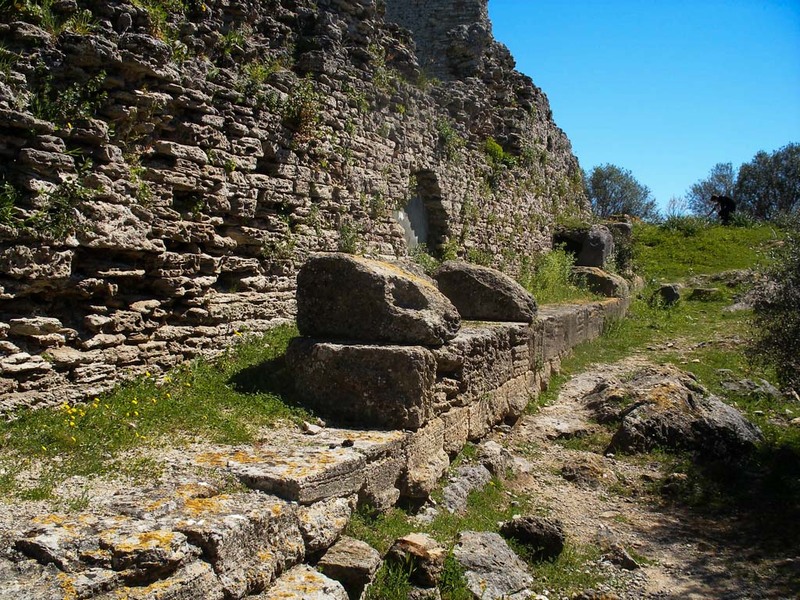 From the beginning it seemed significant that walls with roughcast, polygonal or squared stones are present there as well as in the Mediterranean area. No construction of the first type was found. At Sillustani, a wall of the second type was partially restored with raw stones, but perhaps very recently (for explanations and illustrations see Mortari, 2013). In addition to Sillustani, roughcast stone works were observed in Ollantaytambo (Figure 8) and Machu Picchu. Polygonal walls are present at Machu Picchu, Pisac (Figure 9), Ollantaytambo, Ollantaytambo Fortress, Cuzco, Sacsayhuaman. The fourth type is located in Machu Picchu, Ollantaytambo Fortress (Figure 10), Cusco, Pisac, Sillustani and Tiwanaku. Therefore it seems significant that both in South America and in the Mediterranean area walls were built according to the same techniques. The fact that in both areas the same unit of measurement was used to determine side lengths for the walls erected with polygonal or square stones suggests that in a time prior to that of the construction of the polygonal walls there was a communication between the two sides of the Atlantic ocean. It should have lasted for a long time, so as to allow a succession of similar construction techniques. 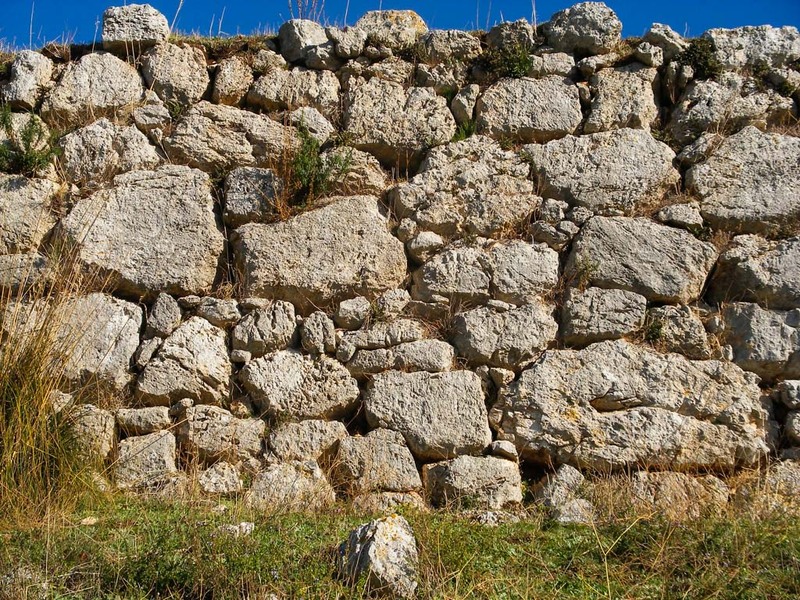 The beginning of communications should coincide with the first appearance of megalithic walls on American soil, where the technique of the walls with roughcast stones should have been imported from the Mediterranean area. 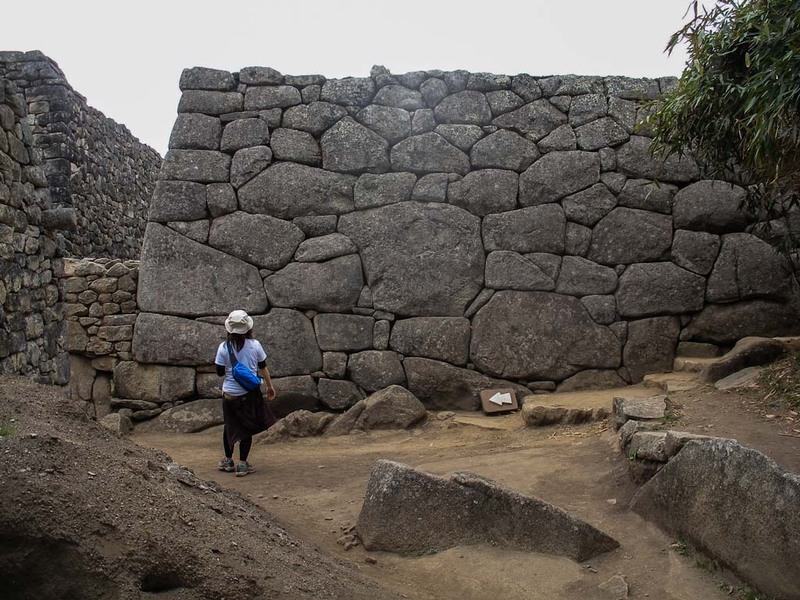 At the time when this technique was in use we can attribute not only the walls of Sillustani, Ollantaytambo and Machu Picchu, but all the megalithic works pre-dating the employment of bronze tools. They are therefore to be included among the proofs of that technique – and of the pertinent period - even those monoliths in the area of Tiwanaku, that is the various menhirs which are now incorporated into the wall enclosure of Kalasasaya. Consequently, in my opinion, the maritime communications preceded by several millennia the Atlantic crossings of Colombo. This is demonstrated by the finding in different parts of the globe of traces of various botanical species that could not have been transported by natural means. Among the various news about it, Sorenson and Johannessen (2006) cite for example the discovery of peanuts (Arachis hypogaea), which are native of South America, in two sites of the Neolithic period in China and other archaeological excavations on the island of Timor, Indonesia. In the second place the peanuts were found together with the remains of two other plants native of America and radiocarbon-dated to the third millennium BC. On the other hand there is evidence that pre-Columbian communications were frequent at least since the thirteenth century BC between South America and Egypt. The French researcher Michèle Lescot in 1976 found fragments of tobacco leaves through the remains of the mummy of Ramses II, who died in 1212 BC. The news raised a stir but also a lot of skepticism, and many researchers have tried in every way to invalidate the importance of the discovery. In 1992, a German researcher, Svetlana Balabanova, along with two colleagues analyzed bone fragments, hair and soft tissue belonging to some mummies kept in the archaeological museum of Monaco, dated between 1070 BC and 395 AD, and they found significant traces of nicotine, cocaine and hashish. We are not surprised by the presence of hashish, which is derived from Cannabis sativa, native of Central Asia. But the presence of the first two substances can be explained only trough systematic supplies by sea from America. On the other hand, a year later these same researchers, examining hair, teeth, bones and soft parts of 72 Peruvian mummies dated between 200 and 1500 AD, found that many of them contained at least one of the same three substances. While cocaine and nicotine could not be a surprise, this time it was hashish to surprise. We can infer that for millennia there have been frequent maritime trading; and we can also assume that most likely the walls erected in the same or similar way in America and in the Mediterranean area evolved almost simultaneously. With this in mind, we can try to enrich with new elements the framework so far built, going to examine the differences between the achievements present in the two different areas examined. We shall start from the walls constituted by polygonal stones. If we look at the contours of the stones found in Italy and Greece, we notice that they are almost always right, so as to talk properly of polygons, and only rarely they are curved, apart from the Lesbian wall – so called because that style of stonecutting came from the island of Lesbos - which seems to be a significantly late technique. 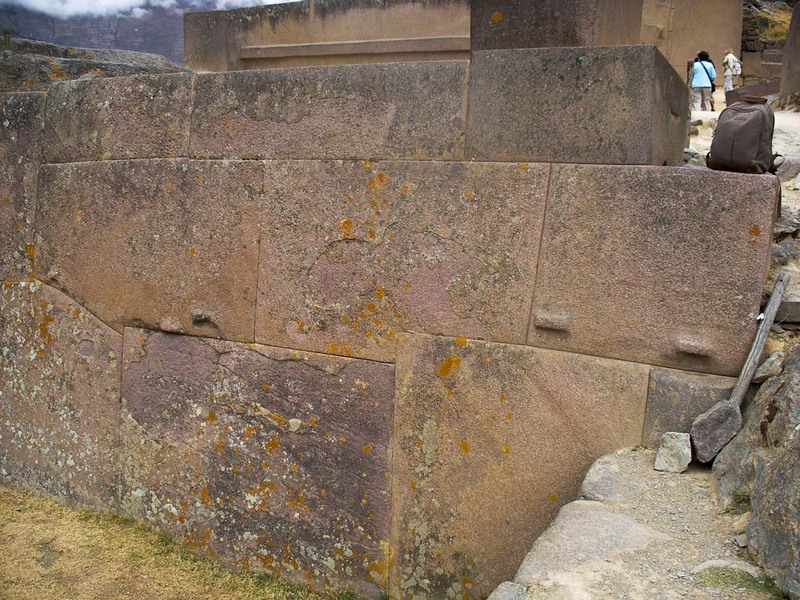 Figure 11 – Polygonal wall with rounded corners at Ollantaytambo Fortress. 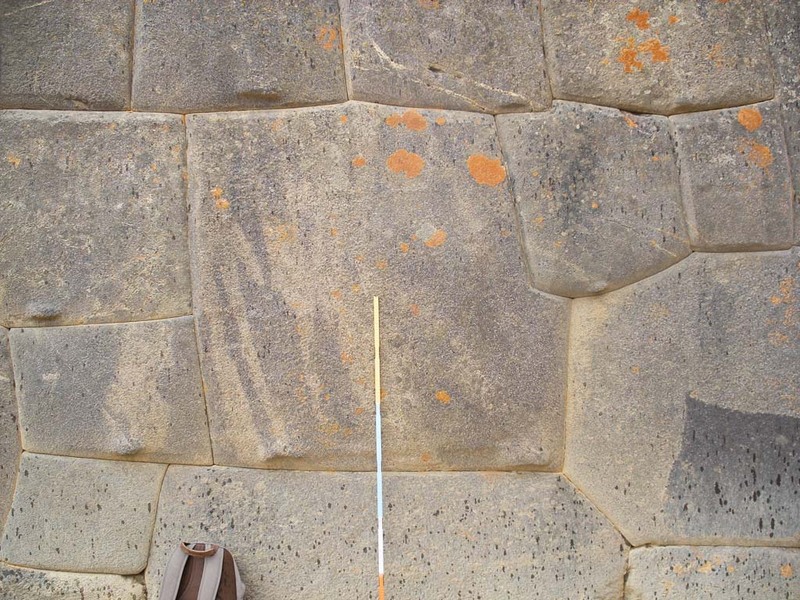 In Peru, there is a striking variability in this type of walls, and it is possible to identify within the polygonal technique an evolution from simpler forms to more complex forms. The first walls of Pisac and Ollantaytambo show more simple characters, with little recourse to curve contact surfaces. 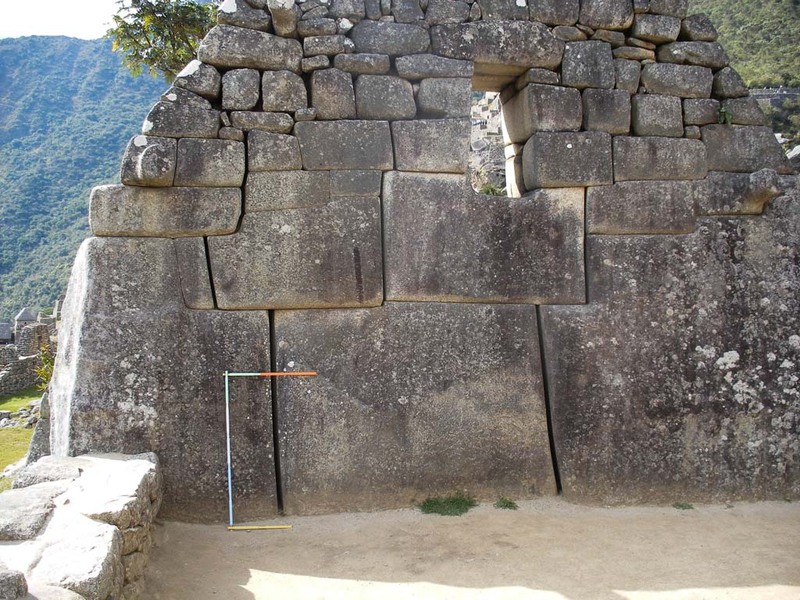 Then, as can be observed in Ollantaytambo fortress and Machu Picchu, while the processing of the exposed face becomes more precise, the curved surfaces become more frequent, and often the corners are rounded (Figure 11). Moreover the sides of the polygons are increasingly often broken lines, with two or three segments, deflected only slightly one from another, even of only 0.5 °. Finally, the shapes of the individual elements become simplified and trapezoids – always approaching the rectangles - appearing as a prelude to the walls of squared stones (Figure 12). Figure 14 – Machu Picchu. Transition from roughcast stone wall to polygonal stone wall. A certain variability regards the roughcast stone works, and you can see a decided transition to polygonal stone works (Figures 13 and 14). This passage is noticed because the used rocks, which are igneous in nature and very hard, suddenly appear shaped with a greater ease. While previously roughcast stones were shaped very little because lithic tools were poorly effective, at Machu Picchu stone shaping happens with a removal of incomparably greater volumes of material, that was possible only with the introduction of bronze tools. The southern Peru is rich in minerals of arsenic, and the first bronze was certainly derived from a copper-arsenic alloy. The appearance of polygonal walls as a derivation of roughcast stone walls here suggests that in addition to the bronze was invented also the precise determination of the lengths through the conduit of the scales, recorded at regular intervals of a finger of 1.536 cm, which, if the assumption is valid, should be called "Atlantic finger " instead of "Pelasgian finger", as previously made. The invention of bronze gave to the civilization that was developing beyond the Atlantic ocean a great capability of expansion, evidenced by traces of communication between South America and China, Indonesia and Japan. In addition to the aforementioned findings of South American plants in Asia, polygonal walls are also found in Tokyo, where they constitute retaining walls around the terraced gardens of the Imperial Palace. We can call this civilization “Atlantic”, and its founders, coming from the Mediterranean, could be called Atlantes, supposing that they had as their mythical ancestor Atlas, by analogy with the derivation of the name of the Pelasgians from the king Pelasgus. If the interpretation so far given is correct, a transfusion of construction technique also took place and, a fortiori, from South America to the Mediterranean on several occasions, first bringing the technique of polygonal walls and later that of squared stone. We can thus explain why the works of the aforementioned squared stone of the funerary complex of Djoser, at Saqqara, make their appearance without warning, without any traces of attempts to build with stones shaped with other techniques less evolved. In particular, there are no examples of polygonal walls in Egypt. From where those works with such precisely squared stones were popping up? It may be assumed that it is an imported technique. The recognized stages in the development of the techniques of building work in South America can be divided into four main moments to be taken as references: 1) the arrival of new people from the Mediterranean area to the American continent, 2) the transition from roughcast to polygonal stone walls, 3) the transition from polygonal to squared stone walls, 4) the end of the Atlantic civilization. 1- The time of the colonization of South America should have followed the beginning of sailing, whose first tracks are traced back to 11500 years ago. This is the age of an archaeological layer in the cave Frankli, in the Argolis peninsula, in which obsidian objects original of the island of Milos were found together with remains of large fishes. Later we shall have other evidence, and that date should be moved back. As it frequently happens, generally the first traces of an event do not represent the true beginning of that kind of event. 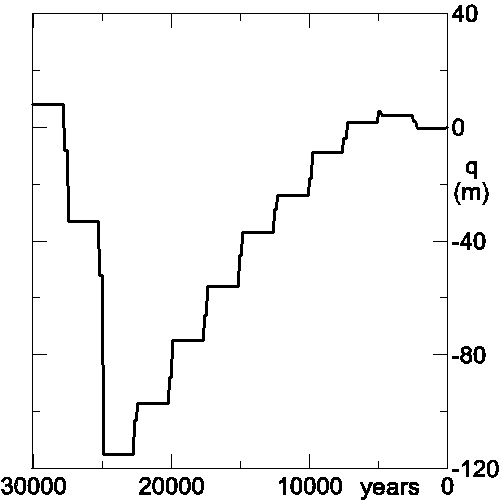 Figure 15 – Sea level changes occurred during the last 30,000 years (Mortari, 2011). 2 - To find the beginning of the polygonal masonry we must consider that it coincides with the first use of bronze utensils. Assuming that the Atlases, along with the Pelasgians, have long maintained the monopoly on the production of that metal alloy, we can look for the most ancient traces of the works built with the use of such instruments. There are two places to be taken into consideration. The first is the site of Göbekli Tepe in Turkey, where limestone pillars were adorned with very fine figures of animals. The age of the foundation of that area is around 11,500 years ago. The second place is that of the famous "Yonaguni pyramid". Taking for granted that the conformation with steps, corridors and terraces of the so-called pyramid has an artificial character, as indicated by some perfectly flat surfaces and sharp edges, we must recognize that the work may not have occurred with stone tools, since the effusive rocks of andesitic type of that island are very strong and require the use of metal tools. Now the pyramid is under 5 m of water and its artificial forms were founded up to a depth of between 28 and 30 m. Knowing that the sea had a standstill at 29 m below the present level in a time interval between 10250 and 10400 years BC (Figure 15) (Mortari, 2011), we can infer that the bronze metallurgy began before 12,400 years ago. This conclusion is certainly surprising, since the starting of the Bronze Age is commonly dated 5500 years ago in the Caucasus. But we must consider that the Atlases built defensive walls that were extremely important for their survival. Therefore it is no wonder that they kept their invention of bronze very secret. In Plato's Critias, the material they used was known as "Orichalcum", but no one knew what was its composition. For the moment, we can assume as indicative of the beginning of the bronze metallurgy the date of 10500 BC. This is also a date ante quam we have to put in time not only the first colonization from the Mediterranean sea to the South America but also the period of the first navigation and the development of the roughcast stone walls. .
3 - With regard to the squared stone walls we have two dates between which that technique could be initiated. 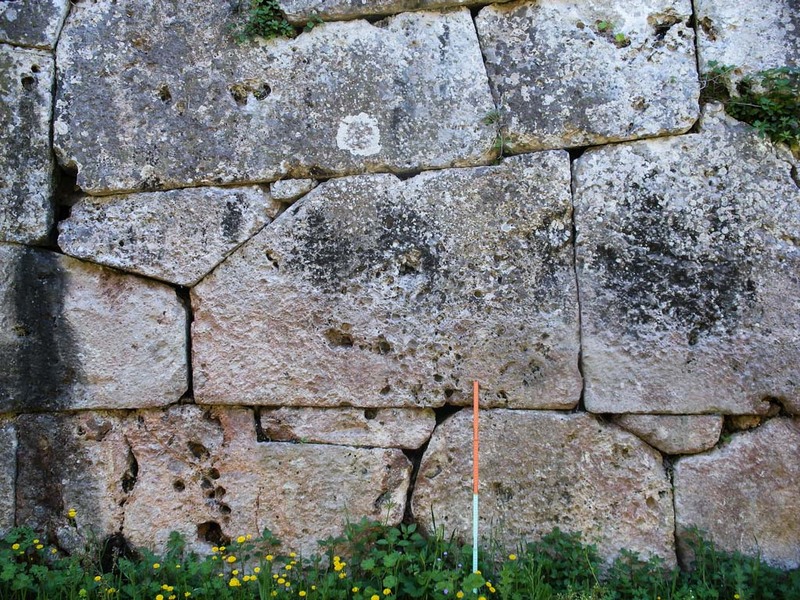 The first one concerns the most recent date of polygonal walls which have a documented age: these are the walls of Pyrgi of 3050 BC (Mortari, 2012a). 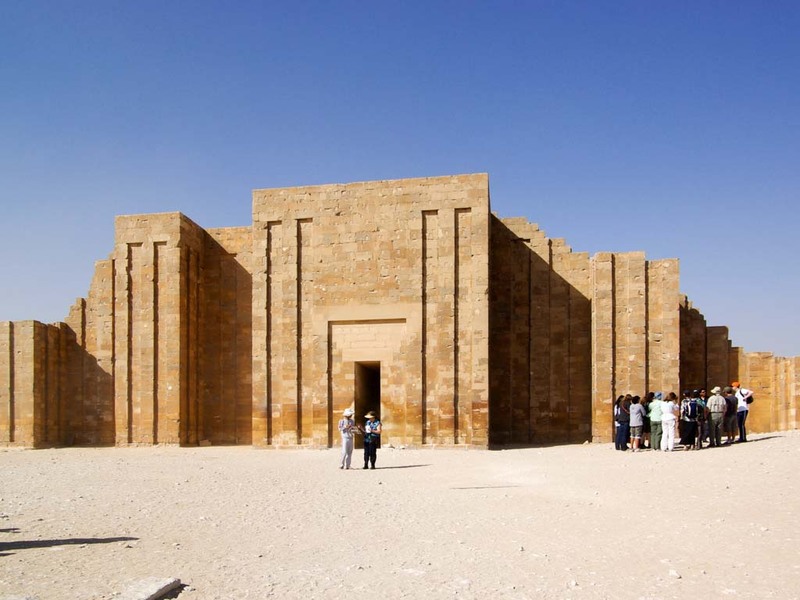 The other one is the age of the funerary complex at Saqqara, of around 2650 BC. So we can say that the date we are looking for may be 2850 BC + / - 200 years. .
4 - To conclude the research on temporal references of the Atlantic civilization, it remains to determine when that civilization came to an end. It was still living at the close of the fourth century, in view of the fact that an Egyptian mummy of 395 AD revealed to have traces of cocaine and nicotine. We must therefore go forward in time. When the Spaniards arrived in Peru, they put an end to the empire of the Incas. Before the Inca, the Wari and Tiwanaku cultures stand out, characterizing the so-called "middle Andean period", which lasted about from 600 and 1000 AD. Since bronze objects of that period appear for the first time in the furnishings, we can take this appearance as a sign that the monopoly of the bronze maintained by the Atlases was finished. . The Atlases were driven out of the central Andes region despite their strongholds. Keeping in mind that an Egyptian mummy presenting traces of nicotine and cocaine gave a radiocarbon date of 395 AD and the middle Andean period began around 600 AD, we can suppose that the end of the permanence of the Atlases in South America was around 500 AD. . Surely they found refuge on the Easter island not by chance, as Thor Heyerdahl (1989) supposed, but because they knew very well the route towards that site, since they had always dominated not only the Atlantic but also the Pacific Ocean. 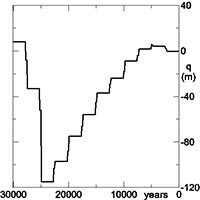 There the oldest track of human presence is made up of carbon residue of a fire; a radiocarbon age of these carbons resulted of 386 AD ± 100 years (Heyerdahl, 1989). When the Atlases came on Easter Island, the island was very likely uninhabited. Namely it is believed that the Polynesian population, arrived there only around 800 or 900 AD. When, in 1722, the Dutch Admiral Roggeveen came there, he found that the place was inhabited by two populations: one of Polynesian and another one of white-skinned people. Heyerdahl noted that these two populations had reached the island by two opposite directions, from Southeast Asia and from the coasts of South America because they brought with them plants of the original places of origin. Specifically, the Polynesians introduced the banana and the sugar cane, while the others the sweet potato. 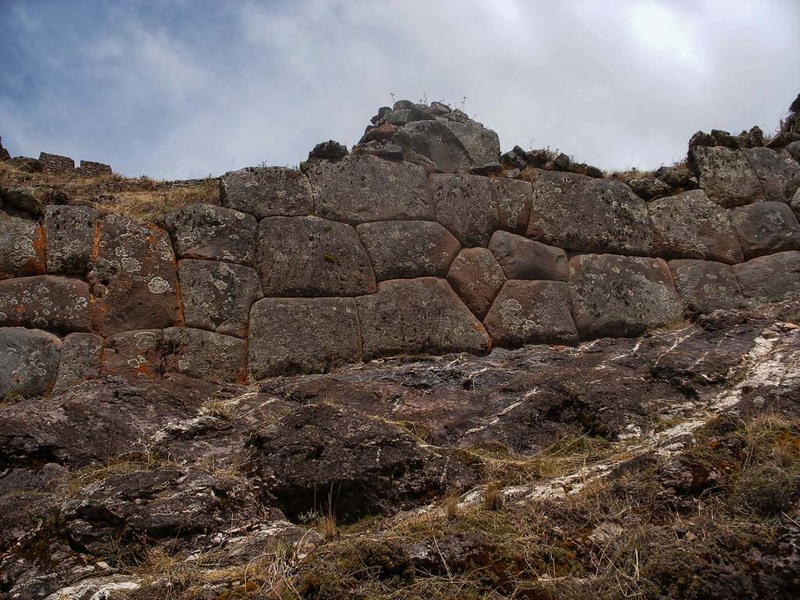 More convincing of the origin of the islanders of white skin from the central Andes is the presence, until recently, of some megalithic walls (now only one, fifty feet long, can be observed), whose stones are predominantly squared. Almost certainly those stones were worked by percussion; it would be interesting if it would discovered that metal tools were used to make both those walls and some basalt moai (most likely shaped before the arrival of Polynesians). There are also burial towers that are very reminiscent of the most recent chullpas of the area of Lake Titicaca, and whose local name is tupa. Finally, there are twenty Rongo Rongo tablets, which were inscribed with pictographic characters, very similar to the pictographic characters found at Mohenjo Daro, in the Indus valley. This type of writing also reminds the one of the Phaistos disk, found in Crete; and may not be a coincidence that in the Odyssey Homer mentions among the languages spoken on this island the one of the "glorious Pelasgians".. In conclusion, we can assume that more than 12,000 years ago, Mediterranean peoples begun the colonization of Central and South America, giving rise to what is known as the civilization of Atlantis. In accordance with what Plato wrote in Timaeus, it was a civilization that greatly expanded its influence and dominated simultaneously on a large part of Europe and Asia. We do not know until when it exercised its domain. We can assume, however, that it was alive in the middle of the third millennium BC, during the third Dynasty of the ancient Egypt, so as to explain the sudden appearance in that region of the construction technique which employed perfectly squared stones. . It would thus be explained the mystery of how agriculture, megalithic constructions, pyramids appeared in times that were more or less close to each other and in different parts of the planet that we thought were not communicating. .
Balabanova S., Parsche F., Pirsig W. (1992). First identification of drugs in Egyptian mummies. Naturwissenschaften, 79, 358. .
Heyerdahl T. (1989). Ile de Pâques. L’énigme dévoilée. A. Michel, 254 pp. .
Lugli G. (1946). Corso di topografia dell’Italia antica. L’urbanistica delle città italiche. Le mura di fortificazione. Edizioni dell’Ateneo, Roma. .
Mortari R. (2011). I ritmi segreti dell’Universo. Aracne Ed., 336 pp. .
Mortari R. (2012a). 2012 – Dalla profezia maya alle previsioni della scienza. www.prevederecatastrofi.it , 85 pp. .
Mortari R. (2012b). Confronto tra mura poligonali d’Italia e Grecia. www.terradegliuomini.com. .
Mortari R. (2013). Le opere megalitiche dell’area mediterranea e del Sudamerica. Identità e differenze. www.terradegliuomini.com. .
Parsche F., Balabanova S., Pirsig W. (1993). Drugs in ancient populations. The Lancet 341 (Feb. 20): 503. .
Polito E. (2011) (edited by). Guida alle mura poligonali della provincia di Frosinone. Provincia di Frosinone. 96 pp. .
Sorenson J.L., Johannessen C.L. (2006). Biolologic evidence for pre-columbian transoceanic voyages. in Mair V.H. (Editor) Contact and exchange in the ancient world. University of Hawaii Press, 315 pp. .